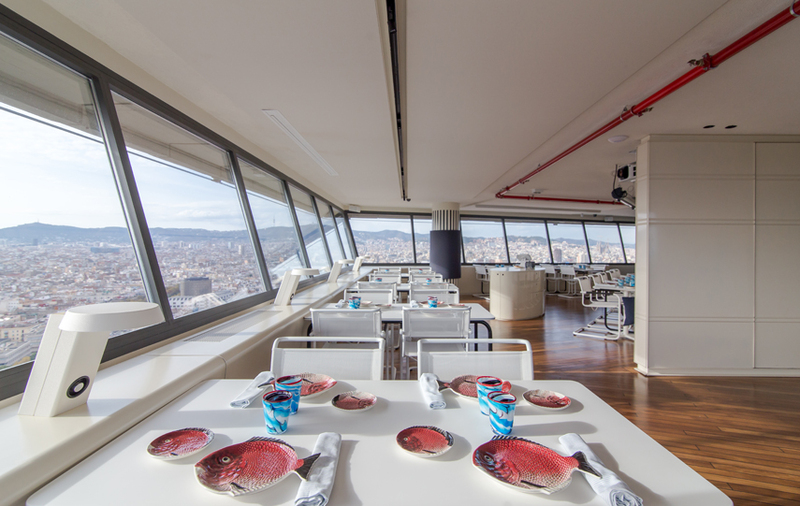 The establishment located at the top of the Colón Building, presents a new sky Restaurant in the city of Barcelona. The result is the conjunction of the best views of the city with a space focused on the world of fish, which uses the richness and diversity of its coasts to supply itself, and the embers and smoked fish as a method of execution. 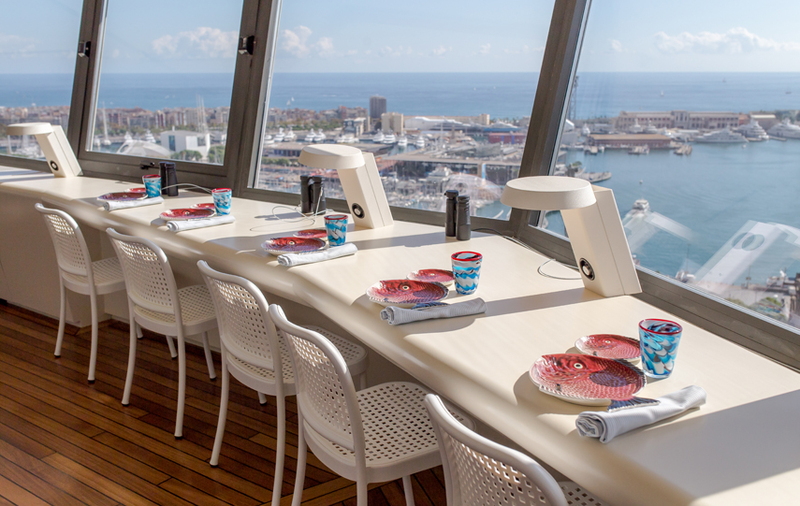 The design of the restaurant recreates a fishing boat, stripped of superfluous elements in order to not to distract the diner of our gastronomic proposal, grilled fish and the gift of unparalleled views. The 24th floor is for the restaurant. It presents a hexagonal plant optimizing the spaces. 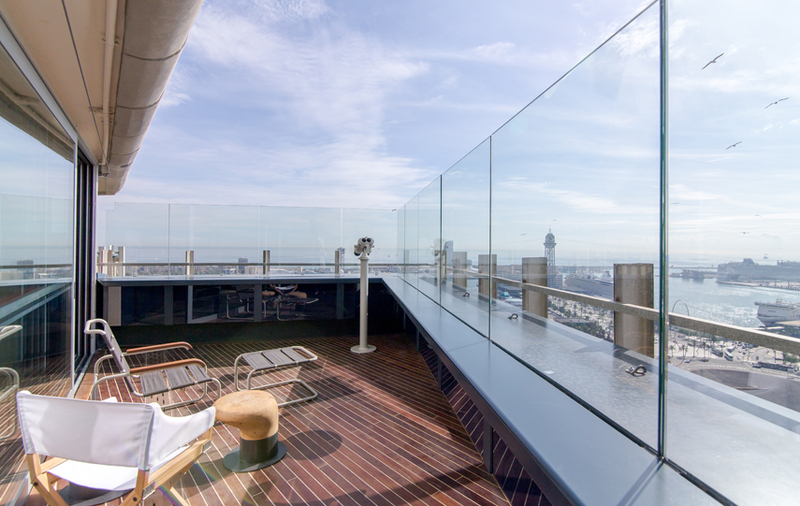 The tables are distributed mainly around the windows to allow you to enjoy the view. The elevators are located in the center of the building, to allow a wide view and divide the restaurant into two spaces even they are communicated between them. On the 23rd floor we find the cocktail and sangria bar destined to culminate the experience in Marea Alta. It has a Finger Food menu with a kitchen open all day uninterruptedly.